Food blogs are wonderful, inspirational, and fun to do. But before you jump right in, consider a few things. Are you going to host it yourself or use a hosting service like WordPress? If you host it yourself, how are you going to build the site? How will you organize it? Will you just post recipes or will the content be more varied? What about pictures? There’s a lot to think through. But with a bit of planning and a few good tools, you’ll be up and running in no time. Unless you already have a notebook, digital or otherwise, bursting with your own recipes and photos, you’ll need to research, develop, and test new ideas. Why can’t you just use those you find online? To be worthwhile, your blog needs to be original. Few people want to read recipes they’ve already seen or can find elsewhere. While a list of ingredients isn’t covered by copyright laws in most countries, the method for combining them is. If you copy someone else’s recipe without their permission, you risk falling foul of those laws. 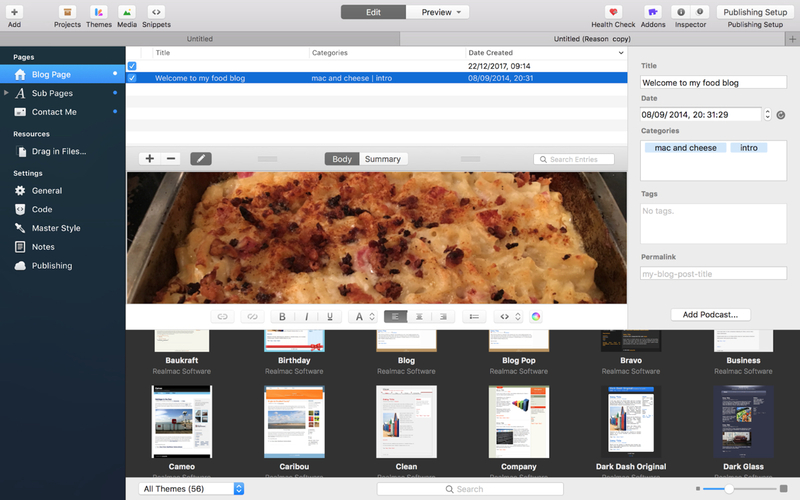 The perfect tool for collating recipes to test and use as a basis for developing your own is MacGourmet Deluxe. 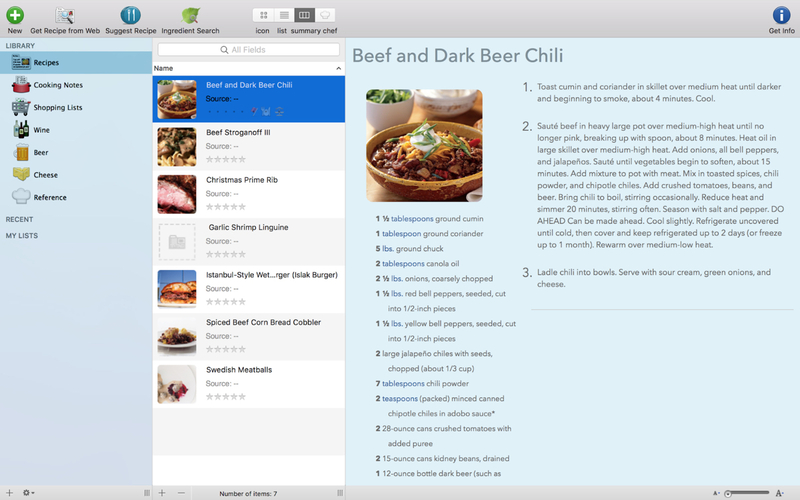 Besides allowing you to import recipes directly from the web, MacGourmet Deluxe lets you create and edit your own. This app lets you organize your recipes and add cooking notes, as well as notes on cheeses, wine, and beer. You can create shopping lists and plan meals. Everything you store in MacGourmet will be kept in a free cloud account and synced with the iOS app. By using MacGourmet to collect tasting notes, ingredients, and snippets of recipes, you can build up a ton of ideas for blog posts. Don’t forget to keep notes on usage permissions, such as credits, for any images you haven’t created yourself and plan to use on your blog. 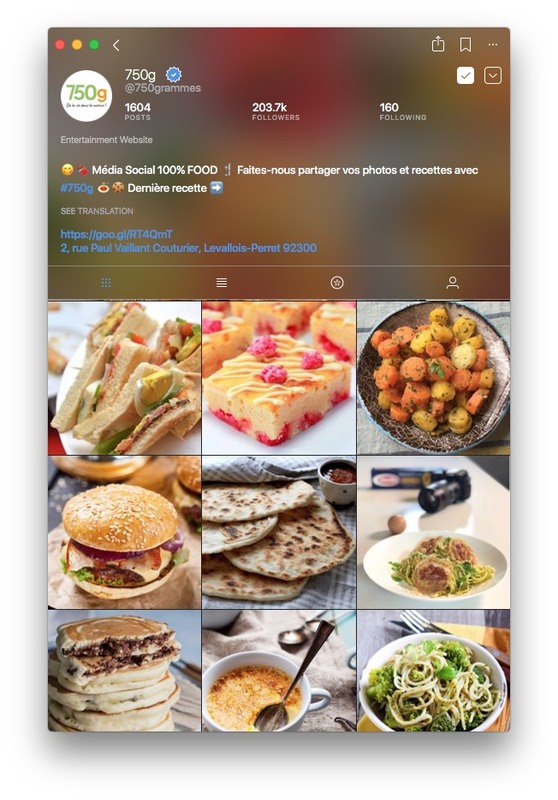 MacGourmet Deluxe also suggests recipes based on the ingredients you search for, so you could, for example, do a series of themed posts on basic cooking and let the app suggest the recipes for you to post. You’ll definitely be taking lots of photos that you’ll need to edit and make as appealing as possible before sharing with your readers. 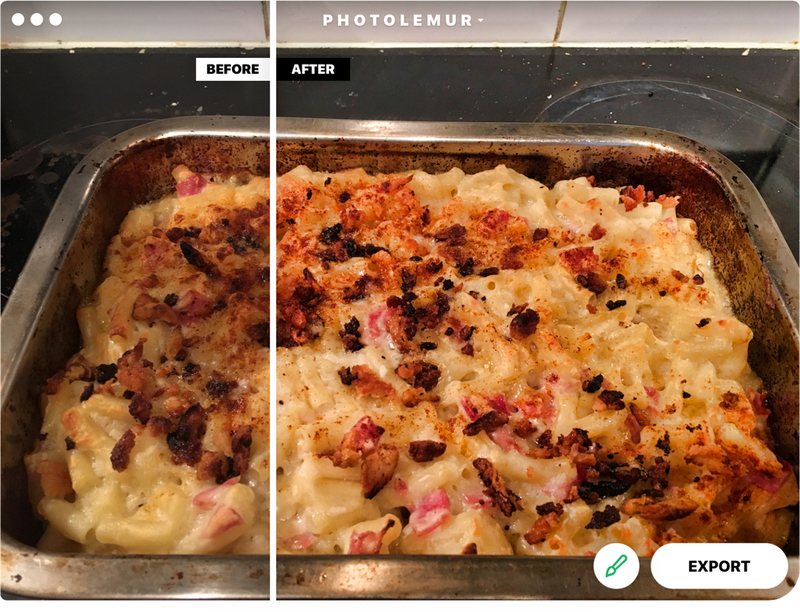 So start with PhotoLemur, which will automatically analyze and fix your photos. It can boost colors, recover highlights and shadows, and remove noise on multiple photos simultaneously. If you need some manual tweaking, CameraBag Pro is a perfect photo editor for the job. You can make dozens of adjustments, from recovering highlights to sharpening specific parts of the image. There are also over 200 filters, all of which can be customized. And the lighting enhancement is brilliant. Best of all, the app is very easy to use. If all you need to do is resize lots of images to make them the smallest file size possible before you upload them, Squash is the tool to use. Just drag images onto its main window and it’ll squeeze them down to size. Additional batch actions, like adding a watermark to your photos to make sure no one steals them, could be done with PhotoBulk. When it comes to building your blog, you could go the same route as everyone else and use WordPress or another blogging tool. But if you want to stand out from the crowd and have more control over how your recipes are going to look, why not do it yourself? Thanks to RapidWeaver, it’s much easier than you think. There’s no need to write a single line of code. Just choose one of hundreds professional templates and build upon it. If you want to put up a one-page introduction while you get your content ready, you can do that too. If, later on, you decide you want an online store to sell merchandise, RapidWeaver is the way to go. RapidWeaver is designed to be SEO-friendly, with sites optimized for mobile devices and displaying properly in any browser. Uploading your files — for example, downloadable PDFs of your recipes — to a web server is easy too. Just use Yummy FTP or Forklift and connect to your FTP account or a third party service, like Amazon S3 storage. Getting your brand new blog noticed isn’t easy, but social media is key. As you know, Instagram is perfect for sharing food photos. Best of all, you can post directly from your Mac using Flume. Flume allows you to share images on Instagram, add comments and hash tags, and view your feed, all without leaving your Mac. The work doesn’t end on building your blog. Now you need to keep it updated with fresh, exciting content to attract new readers and keep them coming back. To do that, you’ll need to be serious about organizing your work and planning your content. 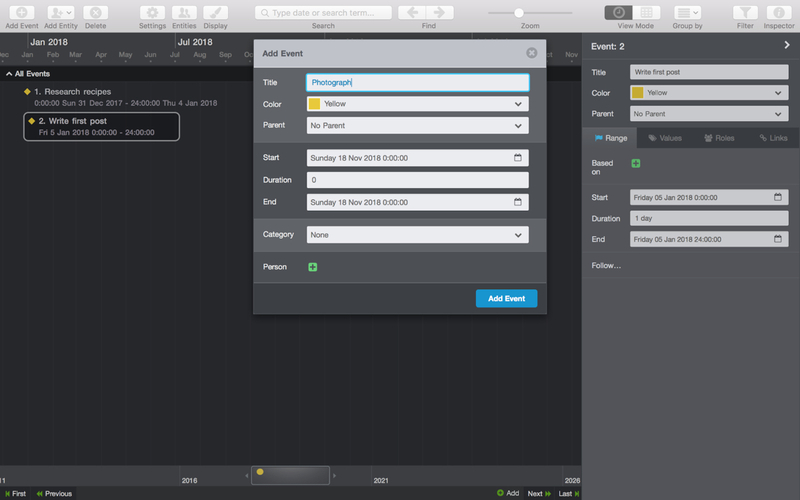 Aeon Timeline is a brilliant tool for mapping out and visualizing your blog posts, so they tell the story you want to tell. You can sketch them out a week or even a month at a time, so you’ll always know what you’re going to work on next. When it comes to writing your posts, Focused is the the best choice. It’s a minimalist writing app that allows you to format your work as Markdown and then export it as HTML. Or you can write in plain text if you prefer. With the Focus mode turned on, the app puts your current sentence at the center of the screen, just like a typewriter, and even highlights it to help you concentrate. In case you’d want a writing app that keeps all your posts together in one place, and particularly if you decide on a WordPress blog and want to export to it directly, you should consider Ulysses — one of the most popular and highly regarded writing tools on the Mac. There’s a lot to think about when you decide to start a food blog. But if you really want to do it, there’s no reason it shouldn’t be a great success. And by choosing the best tools for the way you work, you’ll be making a great start. Good luck!